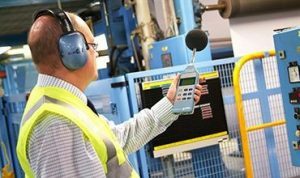 According to the OHSA act it is required for each company to make audiometric testing available to all employees who are exposed to eight hours of noise that exceeds eighty five decibels. If you are employed with a company and within the first six months you are subjected to eighty five decibels or higher you need to be made to take an audiogram in order to get a baseline reading against which all future audiometric testing results will be measured. These tests must be carried out by a professional in the field such as an audiologist, physician or someone approved and certified by the Council of Accreditation in Occupational Hearing Conservation. The OHSA act allows professionals to make the final decision on whether or not the work which you carry out could have contributed to any hearing loss you may have encountered. This is one of the main reasons why it is so important for companies to make use of experience professionals in the field of audiometric testing. This safeguards the employee and ensures that the employee is in the best hands possible. Companies usually make use of the same physicians for a number of years. Throughout your working life, you may be subjected to multiple bouts of audiometric testing and if a different physician is used every time they may have no knowledge of your baseline test results and in essence not really be able to tell if there has been any hearing loss or even if it was caused through your work environment. By using established, reliable and reputable medical facilities companies are guaranteed that results will be valid and that the quality of testing will be high. These companies usually keep records of employee audiometric testing results for the employer assisting in effective management of the program. The implementation of an audiometric testing program within a company does not been that it will be without flaws. There are reported cases where it has been proven that the employer is not really concerned whether you obtain hearing loss or not and that in instances where minimal safety precautions are required, these are even ignored. 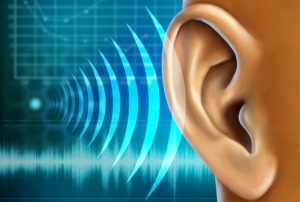 Employees are offered regular audiometric testing, however, the results are never shared with them and no comparisons between these and their baseline tests are ever shared with them. Implementing such a program needs to be done properly if the benefits are to be felt effectively by both employer and employee. It is a ruling by the NIOSH that employees have to be made aware of the fact that audiometric testing is available to them and the procedures must be carried out properly. Examiners must provide the employees being tested with information and material on hearing loss or suffer penalisation by the NIOSH. By providing information on how to prevent hearing loss you make the employees aware of he dangers and you also help to prevent future medical cost implications in the future. It has been noted that many supervisors have reported that almost a third of their workforce has suffered hearing loss however this was not identified through the evaluation of audiometric testing results but rather by on the job activities like having to repeat things over before they are heard and understood or an employee tilting the head to the side to make use of the ear with good hearing. If these tests are being carried out and results documented then they should be used by management to reach a conclusion regarding the health and hearing safety of their employees. Employees are often too embarrassed to undergo audiometric testing and in other cases they fear for their job security. Although hearing impaired employees are protected from discrimination by the Americans with disabilities act, employees still fear being fired or moved to another department due to their progressive hearing impairment. In many adults the fact that the hearing seems to be dwindling is often ignored for far too long. Many leave it as long as seven years before addressing the problem and by then the degree of loss is far too advanced. In the workplace it is extremely important to be aware of any employee who has suffered hearing loss. Accidents could easily take place because an employee fails to hear a command or follow an instruction, not through obstinance but simply because they didn’t hear it. Any workplace is filled with dangers and the ability to hear a warning signal is imperative. All companies need to educate their employees on the importance of good hearing in the workplace and the need to protect your hearing from damage. Each company needs to provide their employees with protective gear that ensures that the ears and hearing are conserved. This can be in the form of earplugs or earmuffs if the decibel reading is excessive. There are many reasons that hearing loss can occur, however, the most common type in industry being a cumulative loss because of long-term exposure to noise levels about eighty five decibels in the work environment. 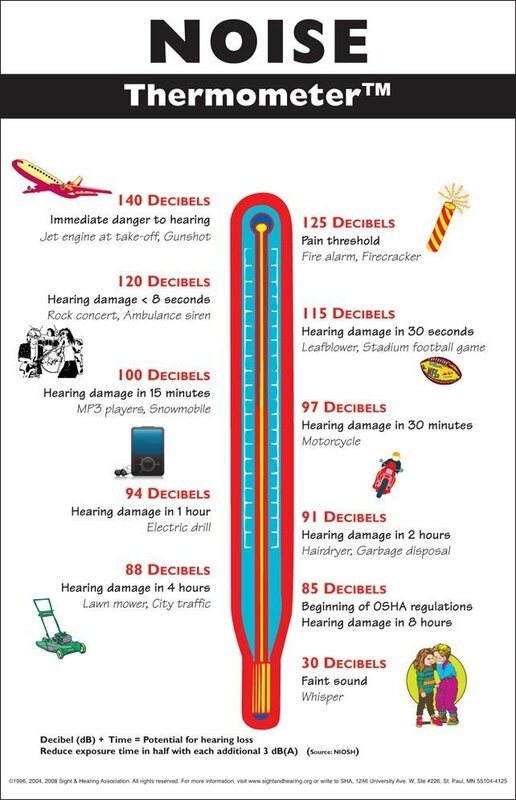 Repeated exposure to these noise levels causes temporary hearing loss but this will eventually become permanent noise induced hearing loss. What is The Temporary Threshold Shift? When the hair cells in the inner ear are damaged, temporary hearing loss is suffered. Often ringing in the ears or tinnitus is experienced and most often occurs when subjected to short term high noise levels. In these cases if audiometric testing was carried out immediately after the event, there would be a noticeable reduction in hearing ability. After a short period the hearing usually returns to normal or baseline and the shift has been temporary which gives rise to the term temporary threshold shift. What is Standard or Signifiant Threshold Shift? Standard threshold shift as defined by OHSA act is a term used to describe a change in hearing threshold relative to the baseline audiogram of an average ten decibels or more at 2000.3000 and 4000 Hz in either ear from baseline levels. As per OHSA act stipulations additional audiometric testing and follow-up action is required in any employee displaying standard or significant threshold shift. This term is also used by NIOSH to describe a change of fifteen decibels or more at any frequency from 500 to 6000 Hz from baseline levels in the same ear and at the same frequency. What is Permanent or Persistent Threshold Shift? This refers to damage to the ear as a result of continued exposure to excessive noise over a period of time. 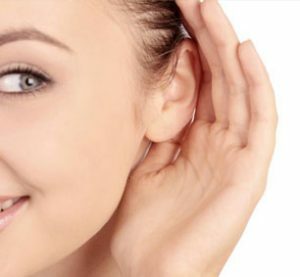 When temporary or standard threshold shifts are present and there is no recovery of the ability to hear, it is said that the person has suffered permanent hearing loss. How Is A Baseline Test Carried Out And How Is It Used For Comparison? The baseline test is carried out by testing a persons response to pure tone sounds in frequencies that cover the major range of human hearing. The baseline test is the first test carried out on an employee and is the result that will be used to measure any follow-up tests against In order to quantify any hearing loss. The most obvious implications are on the health of the employee and the ability of said employee to communicate effectively on the job. There are, however, also other implications which include cost implications. This can be measured by money spent on hearing loss claims through workers compensation insurance claims or lawsuits taken up against the employer. Compensation claims can reach anywhere between ten thousand dollars to twenty five thousand dollars per employee although there have been cases where the claims awarded have been significantly higher. In areas where workers are not covered by workers compensation, the employee can take direct legal action again the employer. This is what makes collecting and documenting results of audiometric testing so important for companies. This data could be the decisive factor in whether an employer is held liable for damage caused to the hearing of the employee and of course the resultant legal and cost implications involved. How Do You As A Business Get The Most From your Audiometric Testing Program? The most critical part of any audiometric program is the implementation and use of trained technicians, audiologists and physicians. It is recommended that these professionals are certified by the Council for Accreditation in Occupational Hearing Conservation. There is really no point in an employee undertaking a test but never being given the results even when there is a problem presenting. Having an audiologist prseent during a testing wherever it may be carried out ensures that the employee is able to be given immediate feedback and results on their audiometric testing. Threshold shifts and problematic audiograms can be addressed right away. There are instances where a company can be held liable and responsible for vast hearing loss in employees and this is why it is so imperative that decision making data is reliable. The professional carrying out any particular test needs to ensure that the methodolgy, reputation, quality control and analysis are of the highest quality. There are many companies who are more concerned with how quickly they can move through the employee audiometric testing and while this does have implications on the costs to the company it can also jeopardise the quality and validity of the results. There are still a number of companies who are unaware of the fact that they are obligated to carry out audiometric testing on their employees and through this they have not undertaken the required baseline tests from the outset. This fact opens the company up to liability if the employee later claims that hearing loss was caused through excessive noise on the job even if it occurred before the term of employment began. On the other end of the scale many companies carry out baseline tests but fail to do the necessary retests and follow ups on shifts found during annual audiograms. The only way to combat either of these events is by ensuring that a written audiometric testing policy is developed and adhered to. Audiometric testing policies need to be carefully developed, taking into account the jurisdiction and the laws pertaining to it. The differences pertaining to determining hearing impairment and compensation can have a huge financial impact on any business. If a company has sites in different jurisdictions then a general policy may not suffice. Each area and the requirements needs to be evaluated and the policy adjusted for each area accordingly. Taking these necessary steps will safeguard the employer and ensure the safety and health of the employees. As you can see audiometric testing has a significant place for all employers and employees alike Hearing is something that is sometimes imperative in certain occupations for both the safety on site of all employees as well as for communication reasons. It is the duty of all employers to ensure that every employer is aware of the dangers posed to their hearing and the implications of hearing loss and also to explain procedures to prevent such instances. Every company must provide employees with protective gear which serves the purpose of protecting the ears and hearing. Companies should take all the necessary precautions to safeguard themselves in cases where claims for hearing loss may be submitted. Ensuring that all data collected is valid and correctly stored for easy access should the need arise. It is the responsibility of both parties to pay special attention to procedures and to ensure that hearing loss and the associated health issues and costs are kept in check. Health and safety regulations are in place for a reason and yes, at times they may seem tedious and pointless but in the broader scheme of things they are far from that. The ability to hear protects us from danger on a daily basis, sometimes without us even knowing it. This is because our ears monitor our safety 24/7….whether it’s a smoke alarm going off, a car horn beeping or the warning tone of the train doors closing. So it’s not surprising that when we are hard at work…they work hard too. But what happens when we give our ears too much or not enough information? This imbalance can end up reducing our abilities to sense danger while increasing the presence of workplace hazards. Not enough audible warnings to let us know there is danger – common examples include broken forklift buzzers or machine alarms which are not located near enough to the operator. Too many audible warnings – this can turn into normal background noise or stops us from identifying the actual source of danger. May occur in busy or cramped work places with lots of machine related activities taking place. Sources of noise reaching or exceeding hazardous levels – this is determined as noise which is 85 dB (A) or above and noise which is 140 dB (C) or above. – Aside from the potential to cause permanent hearing loss, this also inhibits our ability to communicate with people around us. This can lead to all sorts of miscommunications which can be concerning if critical safety information is trying to be verbally communicated. If you want to learn more about 85 dB (A) and 140 dB (C), see the following link on our website LINK HERE! There are many more factors to consider and as noise consultants, we understand how important it is to get the right balance when it comes to managing noise in the workplace. Below is just one example of how we help you balance noise in the workplace. For noise to be made, there needs to be a source. It might be stationary like a large machine, or mobile like a vehicle. They might make noise on purpose (such as an alarm) or the might make unwanted noise (such as an air compressor pump). Either way, once we have identified the noise source, we can determine how it effects the people exposed to it. This is done through the use of a Sound Level Meter (SLM), to see if the noise is hazardous. Depending on the results and how often people are exposed to the noise source, we may recommend a number of controls using the Hierarchy of Noise Control (LINK HERE!). In all instances, we are focused on recommending controls that are balanced. An example of this is calculating what kind of hearing protection may be needed in a workplace to allow for adequate safeguarding of hearing while not being over the top and reducing verbal communication or situational awareness. Anitech Noise Solutions not only provides industry trained consultants to conduct noise assessments. We also complete on-site hearing tests and supply a wide range of hearing protection. As we offer this full end-to-end service, you can be assured to get the best service and advice in managing (or balancing!) noise in your workplace. This case study discusses how noise testing using dosimeters helped our client determine and assess the level of noise-exposed by their workers. The case study shares the methodology used to measure noise exposure level and value delivered to the client. Our client, a local council, wanted to determine the level of noise-exposed by their operators who work in litter collection. According to the Workplace Health & Safety (WHS) Regulations 2017, employers are required to manage health & safety risks related to noise-induced hearing loss and business should ensure workers are not exposed to noise above the exposure standard of noise. LAeq 8hrs 85dB (A) – a sound pressure level equivalent to 85dB for 8hrs in the (A) frequency range; audible to the human ear with lower inaudible frequencies filtered out. A peak pressure level of 140dB (C) – a peak noise level measured in the (C) frequency range; which while including frequencies audible to the human ear also includes lower frequency noise which is not. The council has legal compliance to meet the requirements of WHS regulations 2017. In this case, the council wanted to accurately measure the level of noise the litter collection operators are exposed while working in the council. Client faced a challenge to accurately measure the noise level as the litter collection operators travel throughout the locality to various areas and collect waste using a waste collection truck. It was difficult to conduct static noise assessment using a handheld sound level meter. On an average, the litter collection operators work 12hours a day, and the client wanted to conduct the noise assessment with minimum disruption to work and also wanted to determine the specific noise exposure to each operator. Based on the client’s requirements, challenges and constraints, Anitech Noise Solutions offered to conduct noise assessment using dosimeter. A dosimeter is a special purpose sound level meter that is small enough that your worker can wear the shift. Dosimeter will measure the noise level exposure wherever your worker goes and does throughout the workday. Three calibrated dosimeters were used to measure the noise level exposure of litter collection operators. Based on the requirements provided, a work schedule was planned and sent to the client that discussed the potential dates of assessment, details of the trained noise assessor, equipment used for assessment, resource requirements and other site details. On obtaining approval from the client, the noise assessor went to Cairns to conduct the noise assessment. Before deploying, the dosimeter’s calibration was checked for currency, and an on-site calibration was conducted to ensure the dosimeter is accurate. The dosimeter was clipped to the worker at the start of the shift. A quick brief about the noise assessment and its advantages were provided to the employees before deploying the dosimeter. The dosimeter was clipped on the employee’s shirt with the mic kept closer to the employee’s ear. The dosimeter was then locked to by the assessor to avoid any risk of tampering. At the end of the work-shift, the noise assessor collected the dosimeter from the employees and stopped recording. During this time, a brief note of all the activities performed by the staff through the day was documented. Data from the dosimeter was downloaded unto a personal computer with the help of the software and details about the noise exposure throughout the day is determined. Data from the dosimeter showed the noise level exposure (LAeq, T) for over 11.5 hours (work hours). To obtain the LAeq8h measurement, the LAeq T reading was normalised using the formula: LAeq8h = LAeqT + 10Log(T/8) as Clause 9.3 of the AS/NZS 1269.1:2005 – Occupational Noise Management standard. Since the employees for work an extended shift for 11.5 hours, the normalised result was adjusted by addition 1 dB for every one additional work hours as per clause e 9.4 of the AS/NZS 1269.1:2005 – Occupational Noise Management standard. Cpeak reading was noted from the data obtained from the dosimeter. The report was peer-reviewed and submitted to the client. A debrief session was conducted with the client to explain the findings in the report and also answer any questions. 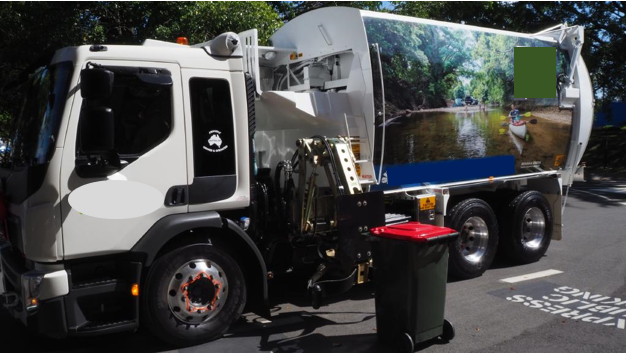 The local Council was able to determine and measure the noise level exposure of their litter collection operators. The noise assessment enabled the council to meet their legal compliance and also identify opportunities to reduce or eliminate high levels of noise. By Using dosimeter to measure noise level, Anitech Noise Solutions were able to meet the council’s requirement considering its constraints. Dosimeter provided noise level measurement that was specific to the worker. Since the noise assessment was conducted as per the requirement of AS/NZS 1269.1:2005 – Occupational Noise Management standard and by a trained noise assessor, the report was in compliance with the legal requirements and were used as documented evidence as part of health & safety legal records. Ok, so you have a noise problem in the workplace…..how should you control it? It may be tempting to reach for the earplugs and determine the noise to be controlled but let’s not put up the “Safety is No.1” signs just yet. Hearing protection such as earplugs or earmuffs do have their place but there are a number of reasons why you should investigate alternatives first. After all, Personal Protective Equipment (P.P.E) such as hearing protection have challenges. -Hearing protection only works if people wear it. How likely is it that employees in your workplace will comply with hearing protection requirements? -Hearing protection varies greatly in specification. The right ones need to be matched to the right applications to avoid under protection or over protection (the latter may reduce situational awareness). -Hearing protection can be worn incorrectly. Earplugs require proper fitment techniques to ensure they fit snug inside the ear canal of the wearer. Otherwise adequate protection may not be achieved. Also, dirty earplugs can cause infections to develop within the ears. -Fish don’t like them. While fish have ears, they tend to be more interested in eating ear plugs. Like cigarette butts, ear plugs tend to litter grounds and gutters. If you decide to go with ear plugs, they will often find their way into storm water systems. With that in mind, let’s go through your range of options from most, to least preferred. Elimination: This one can require some forward thinking and is best applied before introducing a noise source into the workplace. One of the most common examples are air compressors which vary greatly in noise generation. Make noise a consideration during the purchasing of new equipment to avoid trying to fix noise issues down the track. Substitution: The biggest variation I get when doing workplace noise assessments is in powered hand tools so I think this would be the best example to use. An old dye grinder which lacks maintenance will be significantly louder than either a new grinder or one which has been properly maintained. They may both still be loud but the sound may dissipate to non-hazardous levels prior to reaching those around the user if the grinder is a newer model or in good condition. Engineering: The most relatable example of this would be the muffler of a vehicle. The name “muffler” says it all doesn’t it? There are entire books dedicated to the effective engineering of noise. Many workplaces may choose to isolate noise sources (i.e. plant rooms) or contain noisy activities within an environment which is walled off to reduce employee exposure. The most common examples are freeway noise barriers (and yes, there are entire books on those too). Administrative: Will people even bother to care about noise (or their ears for that matter) if they are unaware of the hazards? It comes down to a basic human trait….”What’s in it for me?” Education and training is needed for employees to understand WHY they should care about a quieter workplace, WHAT it means for their hearing and HOW to protect themselves and others from hazardous noise. P.P.E: And of course, our old friend P.P.E is last on the podium for reasons already discussed. At the very least, try to use hearing protection as a supplement to other controls, rather than the all too common “go to” solution. For example, you may use an engineering control (quieter equipment) in conjunction with hearing protection. This will reduce the overall level of noise generated within the workplace while reducing employee exposures. Need help with noise in your workplace? 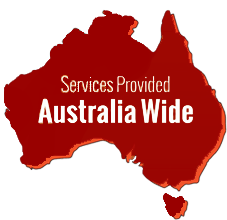 Anitech Noise Solutions have fully trained noise assessors who are capable of conducting workplace noise assessments Australia-wide. Following our analysis, we will provide you with a report and recommendations based on applicable legislative requirements and management strategies found within AS/NZS 1269 “Occupational Noise Management”. Don’t forget….we also provide on-site hearing tests! This is to help your workplace monitor employee hearing performance and evaluate the effectiveness of current noise controls. Business regularly conducts noise assessment to determine noise level in the workplace that their workers’ exposure. It is a legal requirement that your take appropriate measure to ensure your employees is not exposed to noise level above the exposure standard. The exposure standard is LAeq of 85 dB (A) or LCpeak of 140 dB (C). LAeq means the eight-hour equivalent continuous A-weighted sound pressure level that denotes the average noise exposure over a period of 8 hours. LCpeak means C-weighted peak sound pressure level that indicates the peak noise generated during work. A dosimeter is a special purpose sound level meter that is small enough that your worker can wear the shift. Dosimeter will measure the noise level exposure wherever your worker goes and does throughout the workday. Usually, dosimeters along with the microphone come with a small pin or clip so that you can clip to workers’ shirt. Most dosimeters operated on batteries that can be charged before deployment. The standard practice is dosimeter is clipped to the worker, whose noise exposure needs to be measured, during the start of the shift and after removed after the work shift. The output of dosimeter shows the time-weighted noise exposure for 8 hours. Data from the dosimeter is then downloaded unto a personal computer with the help of the software and details about the noise exposure throughout the day is determined. 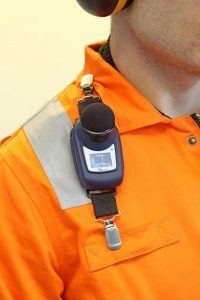 Easy to overestimate the noise level if the microphone of the dosimeter is inappropriately placed in a position that has the risk of other noise due to reflection, surface friction or impact. Difficult to identify the accurate source of noise as the employee may work in any area throughout the day. Require specialist skills to set the dosimeter, download the information using specific software and prepare the report. Sometimes purchasing or hiring a dosimeter can be expensive than a sound level meter. Does not provide information or opportunities to identify how to reduce noise level as we cannot identify the primary source of noise form. A sound level meter is handheld noise measuring device with a microphone. It is also called a Sound Pressure Level (SPL) Meter as the diaphragm in the microphone responds to change in the air pressure created by sound waves. Hence a sound level meter can instantly measure current sound pressure level (SPL) in an environment. A noise assessor can then use the sound level meter is two different ways to measure noise level. Static noise measurement – The sound level meter is mounted on a tripod (almost 1.2 meters from ground level) and takes measures the SPL of the environment over a period. Ear level noise measurement – The sound level meter is held around 0.1 to 0.2 meters from the worker’s ear canal entrance over a period and measures the SPL exposed. A noise assessor can the use the sound level meter is two different ways to measure noise level. The user/noise assessor can control the sound level meter and can use on different locations in the workplace. Most sound level meters have a display that quickly shows the dB level and also a software companion that can download the data unto a personal computer. You should remember that sound level meter only measures a sample of noise as ‘snapshot’, and the results should be converted to LAeq (A –weighted) average of 8 hours. Noise levels of individual pieces of equipment or operated can be determined, and a noise map can be developed for the workplace. Information collected using sound level meter can be used to draw a noise map of the site and also finds opportunities to reduce the noise level. If needed, noise level and immediately re-measured with ease. The assessor needs to convert the data to 8 hours’ average. You can also choose to use both sound level meter and dosimeter to determine the noise level in the workplace. It is recommended you engage an external service provider in measuring the noise level in your workplace because the regulation requires that noise measurement to be conducted by trained and competent individuals. Do you know what legislation and Australian Workplace Audiometric testing Standards apply to your business? Please see below for information relating to Occupation Noise Law in Australia. All the information is taken directly from the Standards, Act’s and work noise regulations mentioned. The majority of fines for breaching the requirements in the Australian Noise Standards Act’s and Regulations below are $6,000 for a natural person (Director or Owner) and $30,000 for the business per charge. A business (and its owners) often have multiple charges laid against them should they be found non-compliant. An assessment should be carried out at least every 5 years to monitor changes in noise exposure due to various factors, e.g. deterioration of equipment, changes in work procedures, introduction of new production processes and effectiveness of engineering noise controls. An assessment of only part of the workplace shall be carried out, e.g. in areas where new plant has been introduced, where work practices have changed, and in new vehicles which may have been purchased. Executive Summary; To ensure compliance you must have your workplace noise assessed every 5 years at a minimum! If during the noise assessment, it is identified that employees in your organisation are exposed to hazardous level of noise the employer is obliged to follow the hierarchy of control to address the noise generated within its operations. Process elimination, equipment modification, retrofitting and rostering changes are all viable controls which should be explored before the issue of hearing protection. However, if Personal Protective equipment (e.g. Ear muffs, Ear Plugs) are deemed to be the appropriate control then Audiometric testing aka Hearing tests apply. (2) In considering whether a noise exposure standard is or may be exceeded, an employer must not take into account the effect of any hearing protectors the employee may be using. must take into account—must not take into account the effect of any hearing protectors the employee may be using. must not take into account the effect of any hearing protectors the employee may be using. Executive Summary; As an employer you must identify, assess and control the noise risk to your employees and others. Our noise assessment services will provide you with the information you need to satisfy this legislative requirement. Our services also include an ‘Action Plan’ for you to ensure legal compliance. See the details of our service and the other exclusive benefits we offer our customers on our Employer Services page. at least every 2 years. (1) A supplier of plant must provide with the plant any record received from the person from whom the plant was acquired that states the sound power level of the plant. (2) A supplier of plant must take any action that is reasonably necessary in the circumstances to obtain a record that states the sound power level of the plant from the person from whom the plant was acquired. 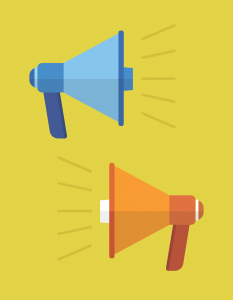 Executive Summary; If you manufacture or supply (sell or import) plant or equipment you have a duty to provide information regarding the noise output levels of your product. We can assist you in meeting this obligation, see our Manufacturers and Suppliers Services page for more information. Click HERE to see the full OHS Act. 4.1 When should a risk assessment be conducted? If you have identified any noisy activities that may expose your workers or other people at your workplace to hazardous noise then, unless you can reduce the exposures to below the standard immediately, you should assess the risks by carrying out a noise assessment. check the effectiveness of existing control measures. 4.2 Who can do a noise assessment? A noise assessment should be done by a competent person in accordance with the procedures in AS/NZS 1269.1 Measurement and assessment of noise emission and exposure. The more complex the situation, the more knowledgeable and experienced the person needs to be. can interpret the results of the noise measurements. The hearing of workers exposed to noise can be monitored through regular audiometric examinations. Audiometric testing is an important part of managing the risks from noise exposure at the workplace. Starting the audiometric testing before people are exposed to hazardous noise (such as new starters or those changing jobs) provides a baseline as a reference for future audiometric test results. To be effective, initial audiometric testing should be provided within three months of the worker commencing work with regular follow-up tests at least every two years. These should be undertaken well into the work shift so that any temporary hearing loss can be picked up. More frequent audiometric testing (e.g. every six months) may be needed if exposures are at a high LAeq,8h, which is equal or greater than 100 dB(A). Click HERE to see the full Code of Practice. (2) A person conducting a business or undertaking at a workplace must ensure that the noise that a worker is exposed to at the workplace does not exceed the exposure standard for noise. (1) This clause applies in relation to a worker who is frequently required by the person conducting the business or undertaking to use personal protective equipment to protect the worker from the risk of hearing loss associated with noise that exceeds the exposure standard for noise. in any event, at least every 2 years. (1) This regulation applies in relation to a worker who is frequently required by the person conducting the business or undertaking to use personal protective equipment to protect the worker from the risk of hearing loss associated with noise that exceeds the exposure standard for noise. any event, at least every 2 years. All workplaces where it is identified that people may be exposed to noise exceeding the exposure standard for noise should be assessed, unless the exposure to noise can be reduced below the standard immediately. Workplaces where exposure is marginally below the standard should be re-assessed whenever any changes are made that may increase exposure. 9.1 The hearing of employees exposed to noise can be monitored through regular audiometric examinations. Such testing in itself is not a preventive mechanism, and is only relevant in the context of a comprehensive noise management program. Any changes in hearing levels over time revealed by audiometry should be thoroughly investigated as to their cause(s) and the need for corrective action. 9.2 An audiometric testing program should be available to any employee likely to be regularly exposed to excessive noise. 9.3 All testing should be undertaken by appropriately trained and experienced persons, selected by management in consultation with employees and safety and health representative(s). Click HERE to see the full regulations. 4.1.57 Managing risk of hearing loss from noise (2) A person conducting a business or undertaking at a workplace must ensure that the noise that a worker is exposed to at the workplace does not exceed the exposure standard for noise.